Simple and elegant, The Avalon is made for the traditional enthusiast. For when all you need to enjoy is a roll of papers and some beautiful flower, this is for you. Designed to fit up to 7g, a slot for papers, a lighter, and the perfect grinder. Don’t need two jars? Use one as an ash jar to keep everything clean and smelling fresh! 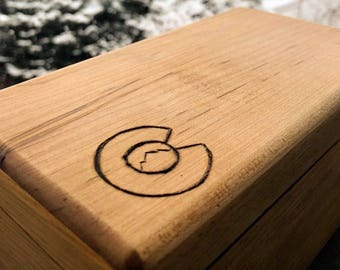 Each Cache is unique, hand-crafted from real wood and designed to look good wherever you decide to display it. 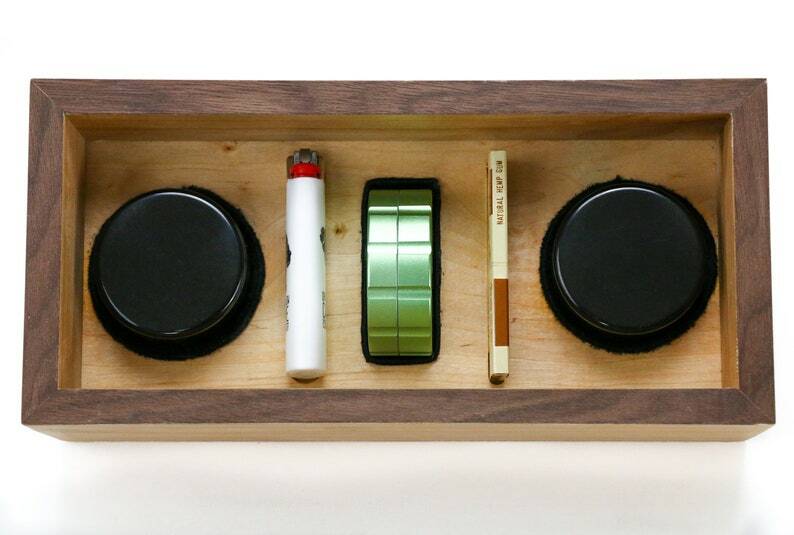 No more stash box or catch-all box, no more dirty drawer or hiding your weed in the closet. Organize your grinder, lighter, papers, rolling tray, pipe, or any other marijuana accessories in the same beautiful, dedicated location. With a Cache by Dry Hollow Cache Company, store your cannabis flower the way it should be, just as any wine connoisseur would care for their wine. Organize all the tools you need and know where they are every time you sit down to relax or socialize with friends. Best of all, it is beautiful enough to put anywhere in the house, including the places you use it most: the center of the coffee table, beside the couch, or on the nearest bookshelf. No other stash box ideas compare to a Cache and its ability to be organized, functional, and beautiful. This product does not contain any items considered to be illegal by the US Federal Government. You must be at least 18 years of age to purchase. The buyer accepts responsibility of any applicable local laws. *This product is made from real wood, by hand. Therefore, the actual look of the wood grain and color may slightly vary.